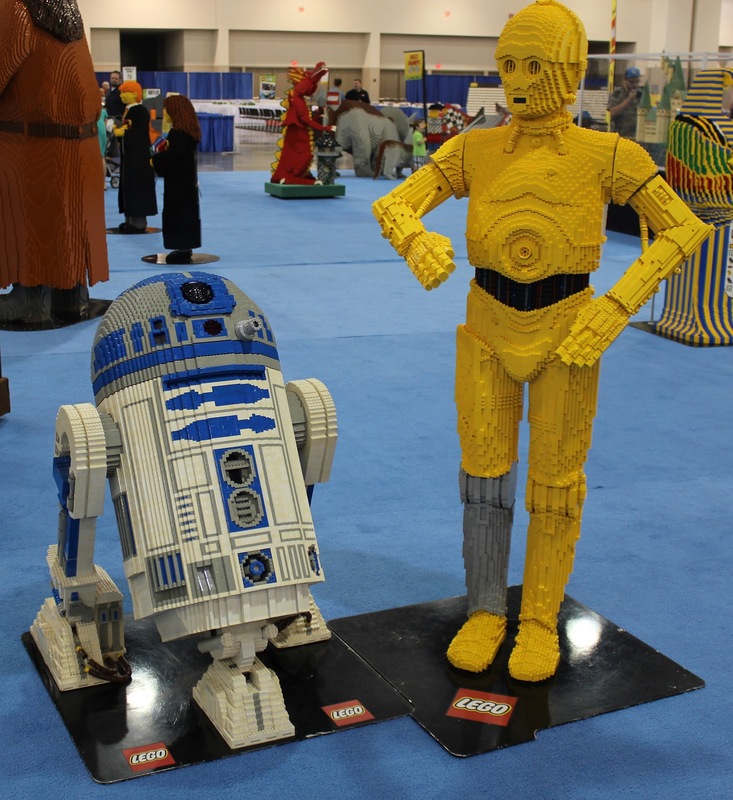 The LEGO KidsFest is a place full of awesome LEGO models and bricks for everybody to build something and have fun. The LEGO KidsFest event is NOT a place where parents will feel trapped about buying something so their little babies would stop crying and yelling to get one of those expensive Star Wars LEGO sets featuring some of the largest manuals I’ve ever seen, or a Duplo set for the toddlers in the family, or even one of those awesome Technic sets to keep the kid and the Dad busy or what about one of the kid’s favorites… a Ninjago set… it is all about ninjas, do I need to say more? Yes, of course this event features a store for visitors to buy LEGO sets, but the store occupies just a small area in this huge event where surprisingly you can find LEGO sets at regular prices and not inflated as it is usually the case in these type of events. As you enter the place you are immediately shown some really awesome miniature and life-size models, built completely with LEGO bricks, it is the LEGO Model Museum. Some of the characters featured in this area are from popular movies such as Cars, Batman, Harry Potter and of course Star Wars! There were also some animals that had moving heads such as a Rhino and various life-size LEGO figurines; everything was very well made and this was a very popular spot for parents with iPhones and SLR cameras. Next to the LEGO Model Museum we noticed several people forming a line which was already very long, despite the doors having opened just about 10 minutes earlier. It was the LEGO Club and Master Builder Academy, this is a new way to help kids (and older LEGO fans) learn skills that will make them better builders by teaching them the fundamentals of design engineering and art using LEGO bricks. 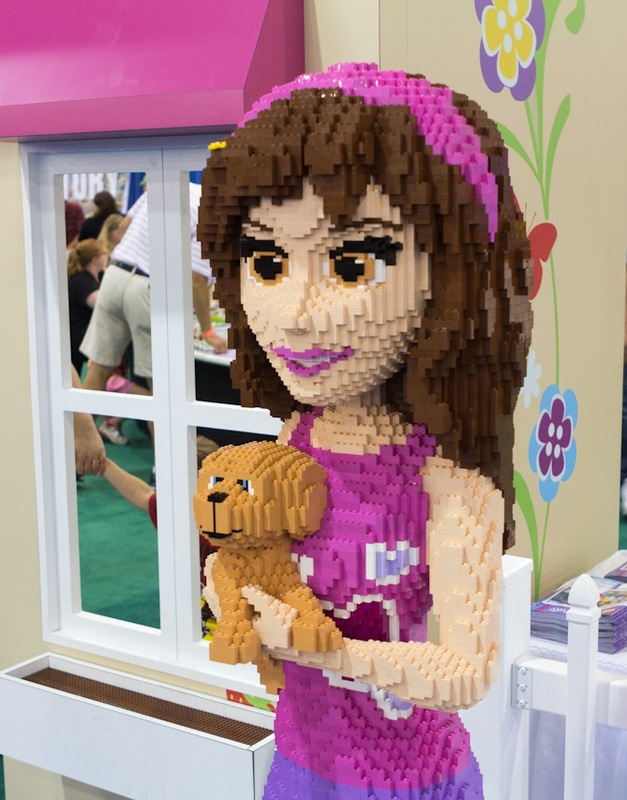 This is the first I heard about this and this was a very popular spot, full of parents and kids wanting to learn from LEGO experts about how to better build cool stuff from scratch and without selected LEGO bricks or a manual, this is cool! 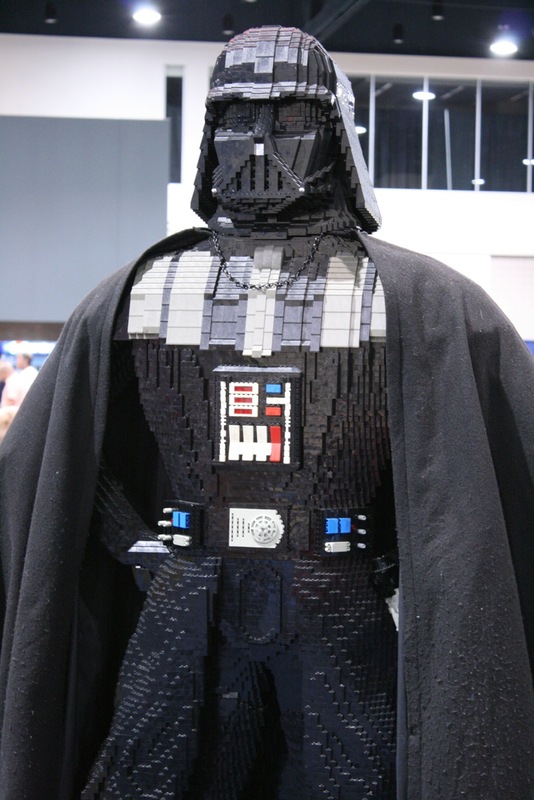 I welcome the idea of showing kids to design and engineer things which helps get their creativity, art and innovation out and in the form of something they like, a LEGO model that can be pretty much anything… no manuals included. Who doesn’t like car races? This is a fun activity full of kids and adults trying to desperately build the fastest, coolest LEGO car to then race it against others using the multiple race ramps available all around this area. This is probably one of the activities where my kids and I spent a lot of time. We built different cars, played many races, crashed many times just to end up rebuilding these cars all over again, and again, and again. This is fun because you get to build anything that you can with all the pieces that are available to you, bricks of different sizes and colors, small and huge tires, covers, wings, etc… the goal is to build the most creative AND faster model (the heavier it is the faster it goes down the ramp!) to then take it to one of the race ramps, compete with others and then see them all fall apart as they crash at the bottom. It is not dramatic, it is just fun! This is something worth seeing, both kids and adults had this look in their faces as they approached this huge pile of bricks scattered around… with people IN it, as if they were in a beach playing and lying around in what seemed to be a LEGO beach were the water and sand were made of LEGO bricks. As we approached the huge pile of bricks my youngest son looked at me with this look… as if he was looking for approval to just run and dive-in. I made a gesture inviting him to jump in and just have fun, with no rules or worries about having to clean up the mess afterwards. Both of my boys jumped in, found a spot somewhere near the center of this big pile and started to build things. I noticed some Dads were getting buried by their kids in LEGO bricks and some toddlers were just having the time of their lives throwing some small bricks around while sitting on top of the boundless amount of them. These LEGO bricks are something simple and genius at the same time. Monochromatic colors are all the colors (tints, tones, and shades) of a single hue. These LEGO bricks are a genius idea, people at the event were using any number of LEGO bricks to build things using their ideas and their creativity instead of following the steps in a manual. There are no predefined sets or steps to build anything, you just grab a bucket of these single colored LEGO bricks and start building whatever comes to mind anyway you can… cool isn’t it? These are probably some of my favorite LEGO bricks because it really forces creativity since the only difference in the models you create are the shapes of them… color and size are very similar if not equal, and pieces such as windows, doors, seats, wheels, etc… are not an option when using these LEGO bricks. Imagine the map of an entire nation build with LEGO bricks, that is exactly what creation nation is and IT IS spectacular! At kidsFest each person gets to build a building or something and contribute to the creation of this enormous map of the United States. There were some very impressive structures on Sunday morning when we were there and photos of the completed map made in the different cities where LEGO KidsFest made a stop are going to be available here. This is very neat and a very amazing thing to see and to contribute to. 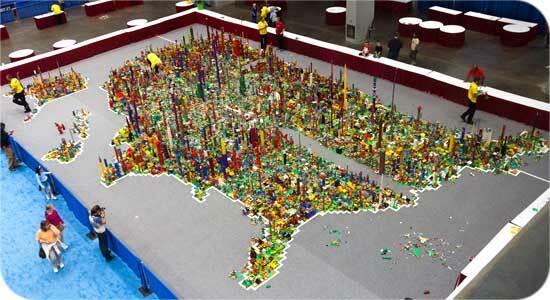 There were kids, moms, dads, young and old building things to add to this massive map of the Unites States made plate by plate using models build by the public with LEGO bricks. In Austin, there were some really cool structures representing the University of Texas tower, the Frost Bank building, the Alamo, etc… I am looking forward to see the completed map once it is published in the LEGO KidsFest site. I did not know this but there is a line of LEGO bricks that seem to be targeted to girls… My opinion is that LEGO should be just LEGO bricks, without creating special edition of LEGO sets for the different genders. It looks like I am not the first one to have a similar opinion, apparently some consumer groups have suggested discomfort about this line of LEGO bricks mentioning that it reinforces gender stereotypes. At the Austin LEGO KidsFest this section was a complete success, it was crowded with girls AND boys playing with the LEGO bricks that were featuring pastel colors and barbie-like female figurines. This line has been a tremendous hit since it has apparently spurred a 35% profit raise for LEGO… my opinion, I don’t care if LEGO offers pink and slimline sets trying to exploit a gender stereotype that has existed for many years… Their job is to build a product that people want, and trust me, I can confirm there were hundreds of parents and little girls at the LEGO KidsFest that seemed pretty content with this new line of LEGO sets. 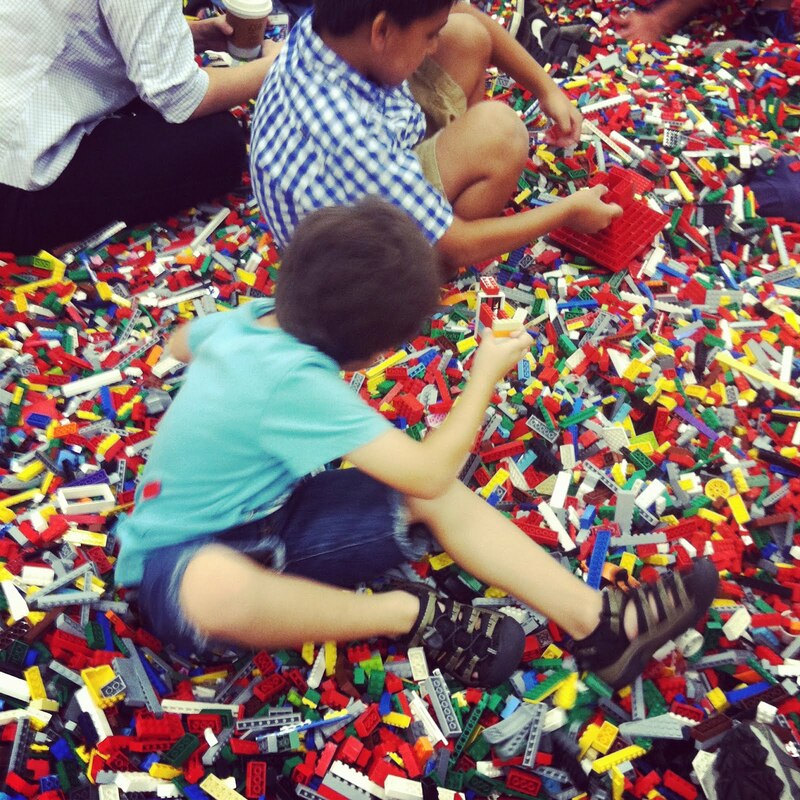 This was my kids and I first experience at the LEGO KidsFest event and we all loved it! it is all about LEGO bricks and creativity, kudos to the LEGO team who makes these events possible. Where you at this event? what are your thoughts? please use the comments section below to share your experience and thoughts about this event and the LEGO brand. Reblogged this on Just for Kids – JFKids.com. Oh, you do know LEGO company is also sponsoring a contest for libraries? All libraries could use a little extra cash. (Info on my blog for Sept 10 or a previous on found in sidebar or Big Sheep Communication’s blog)…no borders for voting! ← ‘Spinferno’ Lets You Send Your Enemies Straight to Hell!